Zippo Lighter – Sankey-Sheldon. Made by Zippo Canada, Niagara Falls, Ontario. Patended 1950. Yes, I used to smoke. But I never used this lighter. It’s either a gift of sorts from a relative (prior to when I was “old enough” to smoke) or a flea market item. Not sure why I can’t remember it’s origin more precisely. Smoking must have killed off a few brain cells. I love the wear and tear on this. If such a material – stainless steel (?) – could be said to have patina, this lighter has it. Somebody must have smoked a few cigarettes with it. I picture them really taking their time, lingering over the moment, savouring each puff. I did make the effort a few years ago to research zippo lighters and see if it was worth selling. There was a British company called Sankey-Sheldon that made steel products. 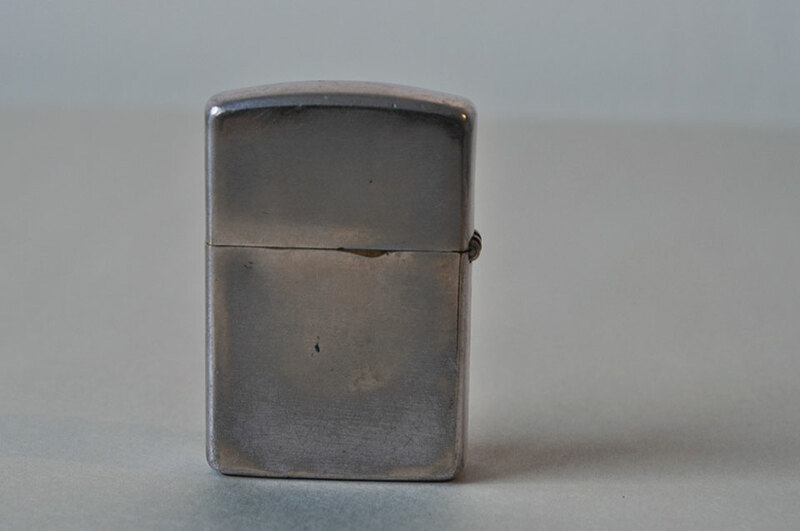 Currently there are over 14,000 results for zippo lighter on eBay. Pretty stiff competition. Now that I’ve photographed it, I would like to take more. The inner bits, the bottom, and with it lit up. Then it can go. On a side note, this particular photo shoot made me think I need a macro lens. Need or want is debatable of course.